I'm 13 and I write articles on The Roar for fun. I try to get up at least 1 article a week. I support Sydney FC and Manchester United. Sydney FC will be welcomed back to Sydney by facing Melbourne Victory at the SCG in the Big Blue. The Alex Tobin medal is one of, if not the most prestigious award that you can possibly win in Australian football. Can Corica's men silence the Roar? 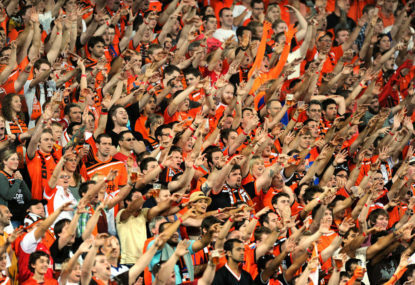 Brisbane Roar will take on Sydney FC at Suncorp Stadium as the A-League returns after international break. 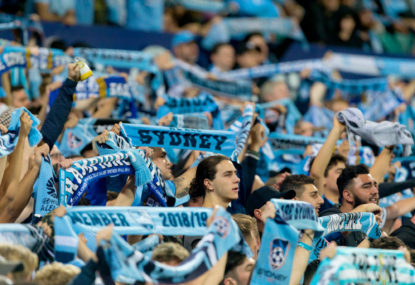 Sydney FC will take on Adelaide United at Leichhardt Oval, a significant game in terms of the race for the title and positions in the finals. 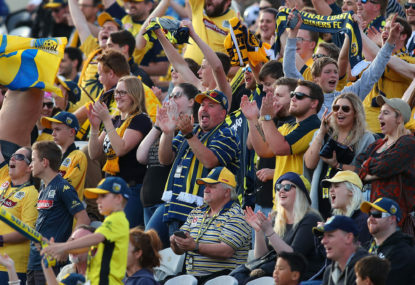 Wellington Phoenix will take on Sydney FC in a ‘home’ game at Campbelltown Sports Stadium, which is ironically in Sydney. What will change when Milos Ninkovic leaves Sydney FC? 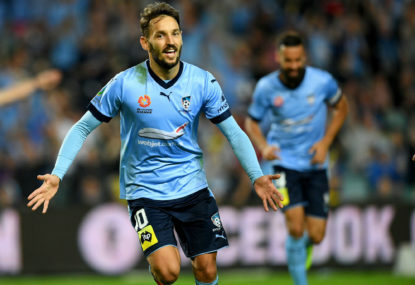 Milos Ninkovic, the man who has changed Sydney FC ever since he joined back in 2015. This week, Sydney FC play Central Coast Mariners at Leichhardt Oval. Brisbane Roar, the team that are arguably on the worst form they have been on in years, come up against Sydney FC, the team that has had an excellent transfer window. 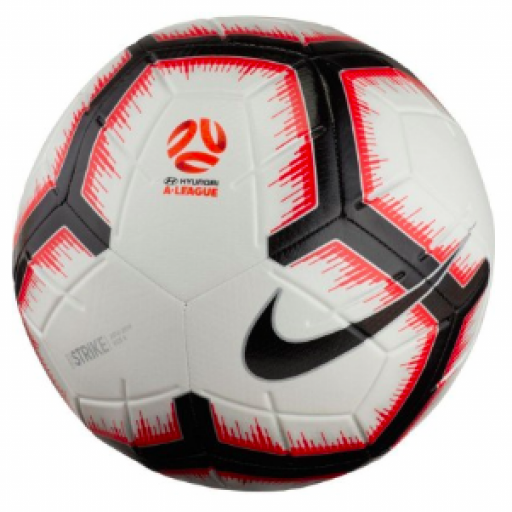 Sydney FC will be looking to bid Jubilee Oval farewell with a win to make it five from their five games at the venue, whereas Melbourne City will be looking to rebound from a loss against Wellington when the two sides clash on Sunday. Sydney FC have been in great form, having won their last four games at home and winning four out of five of their last games. 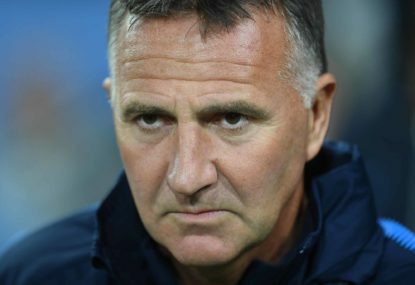 What is Warren Joyce doing to Melbourne City? Melbourne City is sitting a solid fourth on the table, just three points off second place and six points off the top, so should I really be complaining about Warren Joyce? 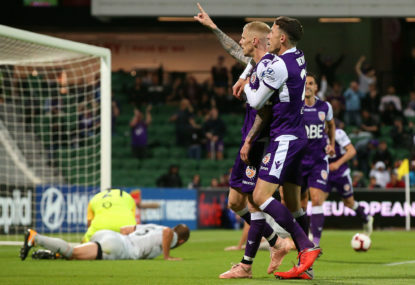 After the Central Coast Mariners were beaten 4-1 away from home in what was a performance they won’t want to remember for a long time, there were a lot of questions asked of the future for the one-time A-League champions. 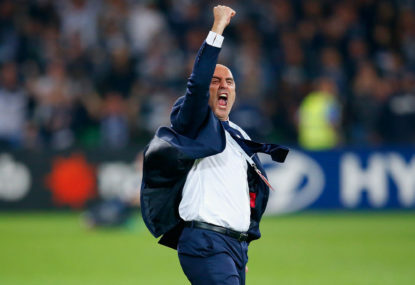 Mark Rudan has the potential to end up being one of the best coaches the A-League has ever seen, but how has he gotten to that point with a team that last season narrowly avoided the wooden spoon? This round’s main focus will be on Brisbane Roar. 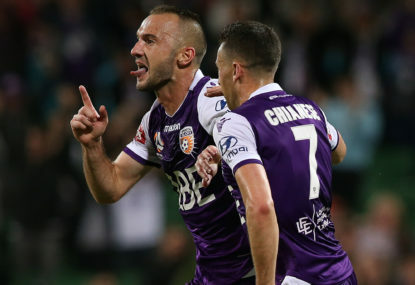 Without coach John Aloisi, who stood down this week, and ninth on the table with just six points from nine games, the Roar will be desperate for their first win in more than a month. 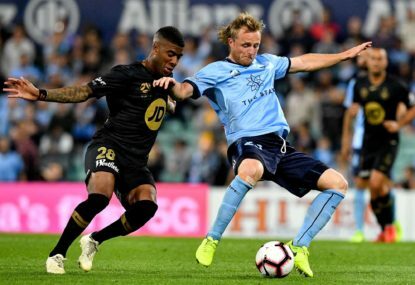 Last week when I wrote the Sydney FC vs Wellington Pheonix preview I was talking about how Sydney FC was looking to show and prove that they were still the brutally consistent team that they have been for the past two years. I think it’s smart except for Keogh. I see what you mean about why he’s being rested, but there’s probably a slight injury or something, and now that Perth have secured the plate they will be looking to rest all their older players for finals. Adam Le Fondre and Siem De Jong have both played well this season, but they haven’t been as effective as Mierzejewski and Bobo. From my point of view, I would rather that they never left. I completely agree – the Wanderers have plenty of talented attackers, and in the winter they need to focus a lot more on recruiting better defenders. That being said, the defenders all seem to be good individuals, they just aren’t gluing together as a team. Nice job on becoming a Roar Guru, by the way! I see where you’re going at, but bench De Jong and Ninkovic? I don’t get why everyone wants De Jong to leave; he’s only 30 and has a few good years left in him, and he’s shown how good he can be. Ninkovic also showed why – at 34 – he’s still a regular starter for Sydney FC. Maybe you didn’t see this, but he got man of the match which was deserved in my opinion. Well, it depends on what type of team you would want, but I think that Barberouses would be better for the Roar at the moment. 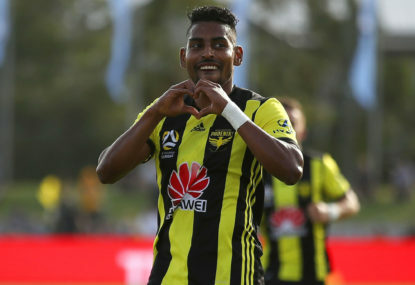 That being said, I would like to see Bauthaec be put into a team like Melbourne Victory, as Barberouses is benefiting from the service, whereas Bauthaec has to do a lot of the service himself, so they are hard to compare. I feel like Le Fondre can regain his form tonight, and I’m really looking forward to seeing De Jong get back on the field with him, as I thought that they were racking up a good partnership. 60th minute: De Jong on for Reza. 70th minute: De Silva for Caceres. Ninkovic and Le Fondre stay on and we welcome back our best attacking four. I doubt that he will stay. There are talks of him moving to the MLS, which is a higher standard and way higher pay, and he hasn’t been very successful at the Roar. Being a Sydney FC fan, I never want to predict a 4-0 win, but it could be possible. If Ninkovic and Le Fondre look up to it, you never know what will happen. That being said, the likes of Dylan Wenzel-Halls and Bauthaec probably have a goal in them. I agree, and I feel like Corica might be secretly already planning next season. 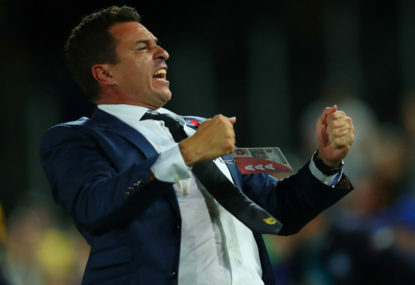 A team like Sydney FC should always be going for a title push, but they haven’t looked up to it this season, so something to do with formation or tactics has to change for next season if they want to rival Perth Glory. Great news for every Manchester United fan! The passion and class he shows make him the perfect man for the job. I think that Corica should at least be going to the end of the season, as it is too late in the season to be thinking about new coaches with all the ACL games coming up as well. But if Sydney wins tonight, they will still be second on the ladder, so should Sydney really sack him? Schenkeveld, Krishna and maybe a central midfielder should be the transfer targets. 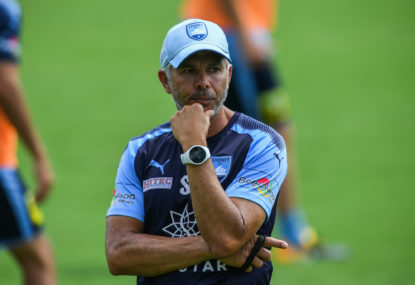 Should Sydney FC sack Steve Corica? -Steve Corica has been very unlucky with injuries, as what would have been their star, Trent Buhagiar injured his ACL and Chris Zuvela was ruled out with a season-long injury to do with his knee. Siem De Jong has been out for more than half the season, and he was their marquee player. There would have been pace, and we saw from the FFA cup semi-final derby how well the system was working in the second half. It is likely that no Sydney FC coach will be able to compete with Graham Arnold’s success in the last two seasons largely because they never had to deal will any major injuries. 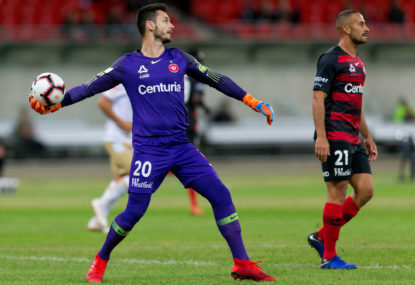 -As for the replacements, Buhagiar is a quick winger but Sydney are already looking at bringing in Krishna, so Steve Corica is probably already planning his next season with formation changes and a more direct aspect. In my opinion, Jacob Tratt could be a ball-playing centre back, but we haven’t seen enough of him but hopefully, with Ben Warland’s ACL injury we could see how good he really is in the next few weeks. -Also, Sydney has not been playing a poor brand of football at all, there were just a few games that were letting them down. -So, in conclusion, Steve Corica should not be sacked for sitting second on the table behind Perth Glory who haven’t had any major injuries to deal with and have been playing amazing football. UPDATE: The game goes on! The pitch inspectors have deemed the surface playable! UPDATE: Because of the heavy rain, a field inspection will take place prior to the game. The result will be made public before 3 pm Sydney time. I would keep Harrison but bench Berenguer, as I haven’t really seen Berenguer do anything good for his team this season. I remember in the first derby the commentators said that his style was like Ninkovic, but then he missed a penalty and I haven’t noticed him have an impact since, and Riley McGree would be a lot better. Caceres is a City reject, but when you think about it so is Fornaroli, so just because he was rejected by Warren Joyce doesn’t mean he’s bad, and he has been playing quite well in recent weeks. The problem with the key defenders coming back is they haven’t played, so they might not be match-fit and Ninkovic, Le Fondre and Reza will be looking to exploit that. I agree it’s very hard to judge players performances when it was such an unusual game. I watched the first half, and to be honest it was very sloppy. Once Wellington was up 2-0, it was like they knew they were going to win and were missing chances. Honestly, it’s cool! It’s unique and it will help the Matildas become easily identifiable over the world cup. Where is the evidence of goalkeepers being poor? Like jbinnie said, a goalkeeper can’t be judged fairly due to the defence being in front of the keeper, so it is hard to judge a keeper. *10. Completely agree with what you say, despite that VAR call. Wanderers have absolutely no team spirit and a manager who looks like he’d rather retire than inspire his players.